We all have doubts and uncertainties about many things, and with those comes a tension between trusting God and also taking personal responsibility. It’s from wanting a childlike faith but needing to be a grown-up Christian. We can trust God and take responsibility for our choices and actions at the same time. 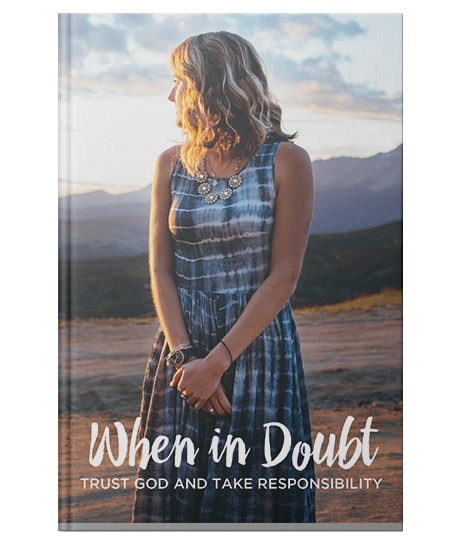 In this book, the author encourages you to think deeply about what it means to trust God and at the same time use the gifts and blessings that God has given you to act according to his will. Written by Jason Nelson. Paperback, 62 pages, 4.75" X 7"
Successfully added When In Doubt: Trust God and Take Responsibility to your cart.